We are a player organization focused on the exploration and navigation of Elyria. When miners go looking for new ore deposits or hunters for new hunting grounds, when traders want to know the quickest or safest route to the next town, when adventurers want to know the locations of mysterious ruins, we aim to be the people they turn to. We want to provide the best maps, the bravest adventurers, and the most reliable information about Elyria. Before I go any further I want to cover our core values. These underscore everything else about the League so I want you to keep them in mind as you read. We are first and foremost interested in exploration. All other jobs/roles are secondary to this. We want people to play the game in a way that they enjoy. We will never force players to do anything they don't want such as being online at certain hours or participating in specific events. We believe in helping and respecting others. We are stronger if we all work together. We are friendly and welcoming to all, not just those in the League. We will remain neutral in all military and diplomatic affairs. When I say “we” I mean the League. Players are free to be as deviant or militaristic in their own time as they want. Since we’re not a skill-based guild (i.e., only focused on a single skill), I’m going to talk more about professions and I’m going to break this down into Primary and Secondary professions. The primary professions are folks with the skills that are the most necessary for the League to operate. They are by no means the A-team vs. the B-team and it is allowed and even expected that some people will be able wear multiple hats. On the other hand, there may be those who are not interested in exploration personally but want to contribute in some way from the comfort and safety of their city. We welcome anyone who can help us out. Cartographers (Primary): The need for good, detailed maps early on is obvious, but Elyria is an ever changing world. New cities will be built, new resources will be discovered, wars will cause borders to shift, so there will always be a need to keep our maps up to date. This will be our primary responsibility. Navigators (Primary): We don’t just want to provide people with good maps, we also want to help others find their way around. If we find some mysterious ruins and a group of archaeologists want to go examine them, we want them to hire us to help them find it. Explorers (Primary): It’s right there in the group’s name. We want people who are interested in exploring the land and bringing back information about the incredible mysteries that they find! Combat (Secondary): It’s dangerous to go alone! We encourage all members to have at least some basic combat skills for their own protection and if necessary that of others in their group. Astronomers (Secondary): Exploration is about more than just mapping the land. We plan to explore the heavens as well, so those interested in stargazing will be welcome in the League. Paper & Ink Makers (Secondary): We are going to need lots of paper and ink. Members that can provide either will be a great asset. Librarians (Secondary): We will need folks to help maintain, organize, and protect all of our maps and documents. Scribes (Secondary): We will need people who are capable of copying maps to share with others. It is unclear right now if that will require Cartography or Inscription. Animal Tracking/Taming (Secondary): The unknown countryside can be dangerous, so having a faithful animal companion with you could save your life. There may also be times that you run across a new, interesting species that you wish to bring back for others to study. First Aid (Secondary): If you or someone in your party get injured far from town, you’ll want to be able to deal with that injury so that it doesn’t get worse and possibly lead to death. However, due to the nature of this organization, we will need branches in many cities across the kingdom. The more branches we can open the easier it will be for members to travel and share information, so even if you are not interested in joining, please let me know if you would be interested in sponsoring a branch in your city. If you are interested in joining or want more information, please visit the Discord server below and come hang out with us. If you are on the NA-W server, please stop by the Elyrian Cartographer's Guild. I am working very closely with them and our philosophies and goals are very much in line with each other. 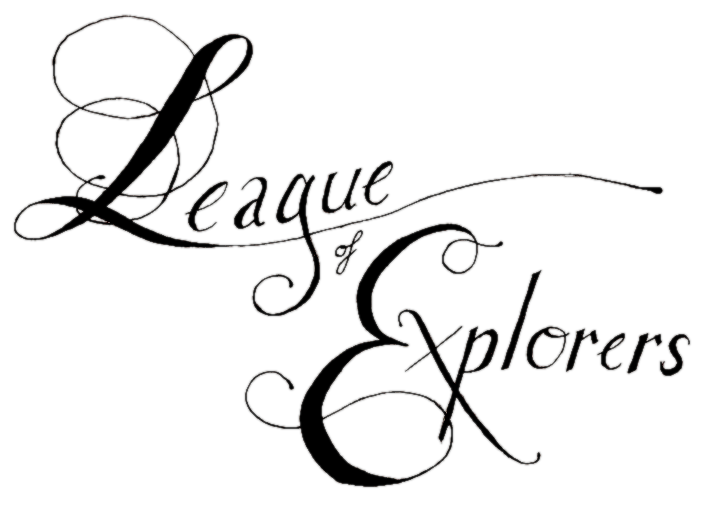 Below are other organizations that The League of Explorers is partnered with on the Luna server. By working together we call make each other stronger. If you are interested in arranging for your organization to work with the LoE, please contact me on the forums or in Discord.